Nasturtium is an Indian cress and has large, shield shaped, peppery leaves and cheerful, helmet shaped flowers in yellow, orange and red. These flowers make an attractive, edible garnish. (information sourced from The Complete Book of Herbs). I tossed a packet of seeds into the garden portion outside of our fence, and since then I have had an abundance of nasturtiums. 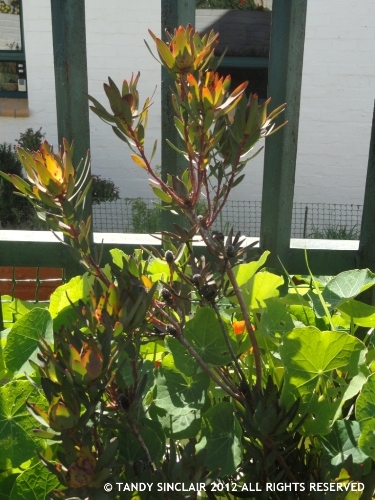 A few years ago I removed ten plants for a friend to plant at her fence line and the following year, you could not even see the gap! I made nasturtium pesto with the leaves, which is really amazing but I thought I could do one better, and make nasturtium jelly with the flowers. I have used the jam with cheese and it is perfect, as well as with pork and it made a great change from apple sauce. I gave a small jar to Greg as a gift, and he really enjoyed it as well. 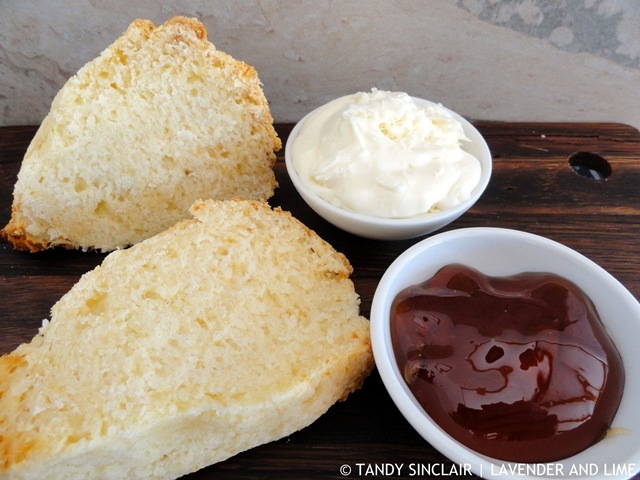 This jelly is perfect with scones and can be adapted to use any organic flowers. I love nasturtiums and this is so clever. Thank you Tandy. this is so,cool, What a unique recipe with a plant that grows on my allotment so easily! Ha! Wow this really blew my mind! I’ve always thought of these flowers more as decorative sprinkles on salads, and not an essential component or ingredient in cooking. Thanks for this Tandy, really taught me something new! Hi Tandy, in the summer I grow nasturtium, tons of them, only have used them in salads. Will be making this for sure, love this recipe! Now I’m wanting to grow nasturtium again this summer…lots of nasturtium. This jam is so unique and sounds fabulous! What a great idea – Tandy – when we plant our new garden – definitely going to throw in some nasturtiums! My grandmother used to make nasturtium leaf sandwiches – imagine also included cream cheese. I am so fascinated by Nasturtium – Sounds like I need to plant it on my fence line too – do you have any idea where to get it? I don’t recall seeing it at my local home depot…and this jelly looks wonderful!! I am sure that a good nursery will stock the seeds, if they are available where you live. I am so fascinated by Nasturtium – Sounds like I need to plant it on my fence line too – do you have any idea where to get it? I don’t recall seeing it at my local home depot…and this jelly looks wonderful! I don’t think I’ve ever had anything with nasturtiums in it! Very cool. Wow Tandy, you are a very clever cook! Don’t think I have had nasturtium jelly before – such a pretty coloured jelly.